If politics is broken, what’s the alternative? 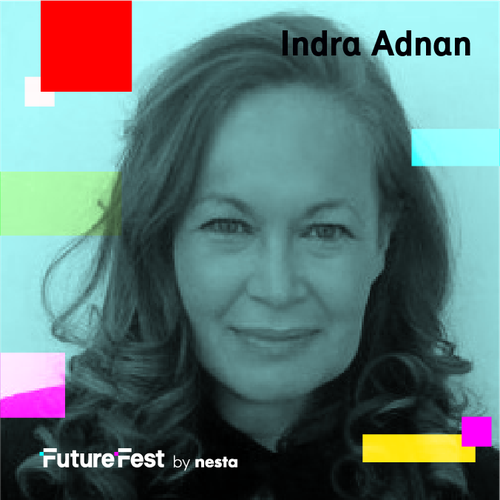 Ahead of chairing two debates on alternative visions of politics, at FutureFest 2018 on 7 July, Indra Adnan discusses the current limitations in our political culture that are preventing progress. Purchase your FutureFest tickets now via the link at the bottom of the page to explore these ideas further. 2017 was seen as a watershed for British and American politics. First the shock of the UK deciding to leave the European community, against the preference of all five main political parties, by a referendum vote of 52%. Second the appointment of Donald Trump as President of the United States, contradicting media depictions of a popular Obama Presidency and in the face of the first woman presidential candidate in US history. Since then, the political headlines have been beset with fears of populism – the notion that those who are traditionally excluded from the political mainstream and who made their voices heard for the first time, are irrational, prone to right wing extremism and to be guarded against. In the UK, this fear was exacerbated when committed Remainer Joe Cox was murdered by one of her constituents who objected to her stance. If the Government and HM Opposition cannot deliver on their consensus at the national level, is politics broken? Looking just below the surface of this mainstream political narrative, there’s plenty to back up that idea. Firstly, only 2% of the UK's eligible electorate are members of political parties: that includes the Corbyn surge and the SNP’s gains during the battle for Independence. Of course, many more vote at elections and identify with one of the parties in their conversations. But only 2% think it’s worth their time and money to actually sign up to official political culture. Which means only 2% are actively generating the whole political discourse that the media feeds on, both for news and narrative. The story held by official politics is that 98% of the eligible electorate are apathetic: unconcerned with the fate of people or planet. But is that true? Stepping outside the political bubble, as I decided to do this past two years, introduced me to quite another way of seeing my fellow citizens, many of whom are very actively engaged in socio-political (with a small p) development beyond the party structures and culture. The number of original - often ingenious – initiatives and innovations that are not covered by the mainstream media are teeming. There's enough for us to publish a Daily Alternative blog: every day a new way to move society and planet forward. In so doing, we notice four significant limitations in our current political culture. Firstly, the depiction of the human being that politics serves as homo economicus – motivated primarily by material need and only secondarily with psychological, emotional and spiritual needs. Yet both Brexit and Trump victories were appeals to these drives - for more ‘control’ and ‘status’ respectively. In our FutureFest discussion with Jonathan Rowson and Yvonne Roberts entitled Not By Bread Alone: Are Emotions the New Political Currency? we ask what a politics more attuned to our emotional needs might look like. Secondly, party politics is structurally hierarchical in an age where business and social organising is becoming flatter. Since the advent of the internet – only 25 years ago – we have been in a revolution of connectivity and access to information. As a result, non-state actors have much more power – not only over the design of their own activism, but also over their ability to influence others. Mobilisation of others no longer requires thousands of leaflets air-dropped over (or stuffed through the letter boxes of) targeted communities. 280-character tweets and calibrated Facebook posts do the job more effectively. But politics has shown little inclination to reflect this individual or community empowerment. Manifestos are written by small elite groups and handed down through vertical structures to local parties. All citizens are required to do, as their patriotic duty, is vote once every five years in a first-past-the-post system that is itself grossly outdated – with no proportional element that would make each vote count. Who should care about a politics that doesn’t see the citizens as relevant? Thirdly, our current political narratives fail to give people a healthy or confident relationship with the wider world, whether you think of it as an ecological planet or a geopolitical globe. Our national leaders are elected to protect and champion their own people so too often characterise the wider world as either ‘with us or against us’. This keeps us overly reliant on small groups of nations we deem friendly, and afraid of the rest. While each group – or bloc - is an experimental space for going beyond these silos, we are still far from recognising our collective responsibility for the health of the whole planet. Business, in the meantime, has appropriated globalisation for the interests of elites: multi-national corporations do not hesitate to create international structures that work together effectively, but drive wages downwards and homogenise cultures. Why has politics not found a way to represent the interests of their citizens at a global level? Young people in particular find it hard to identify with this lack of global agility. As digital natives, they have always roamed the globe virtually, internalised diversity through music and games (and travel if they’re privileged) and made common cause with people they have never met through Facebook and Instagram. Westminster must look particularly archaic to them. Fourthly, politics is failing to help us face the future with enthusiasm. Radical developments in technology, biology and artificial intelligence are portrayed as threats to human society rather than as major enhancements. Automation is only described as an enemy to employment rather than as release from robotic activity for millions of workers. Should we be hanging on to a concept of work that is only labour, when we could be moving into an age of creative citizenship? So should we be buying into a political system that doesn’t work at any level of a framework for citizenship we call "I, We, World"? Can we imagine a politics that integrates these three realms of our lives to guarantee some relationship between the health of individuals and planet? Is it worth our efforts to focus only on Westminster as the structure that must be gradually improved? Or, in the inimitable words of Buckminster Fuller: when faced with an outmoded system, should we instead focus on building an alternative? Is Politics Broken?, hosted by The Alternative UK, will take place at 10.30am on 7 July, with Sophie Walker, leader of the Women’s Equality Party, yet to elect an MP; Jamie Bartlett, author of The People Vs Tech: How the Internet is Killing Democracy; and Peter Macfadyen, author of Flatpack Democracy who, together with the Independents for Frome, took over his local council to do it all differently. Not by bread alone: emotions and politics, also hosted by The Alternative UK, will take place at 3pm on 7 July, with acclaimed journalist and author Yvonne Roberts and Dr Jonathan Rowson, Director of Perspectiva and the Social Brain Centre at the RSA. Buy your tickets for FutureFest 2018 now via the link at the bottom of the page.